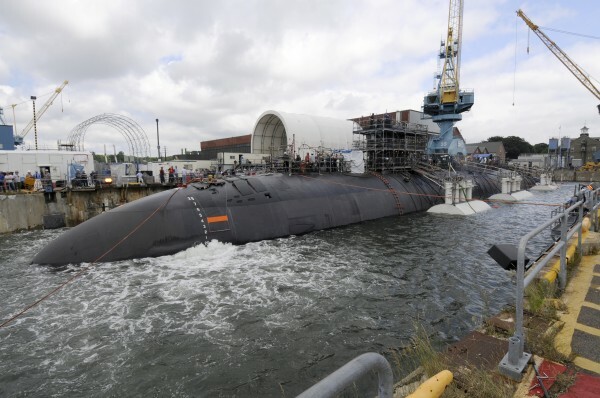 Shipyard workers at Portsmouth Naval Shipyard successfully undock the Los Angeles-class submarine USS San Juan one day early from a routine engineered overhaul in February. The 4,700 civilian employees at the Portsmouth Naval Shipyard in Kittery will not be forced to take unpaid leave this summer as a result of the across-the-board budget cuts known as sequestration. However, there are at least 2,000 other civilian employees of the Department of Defense in Maine who could be affected. Secretary of Defense Chuck Hagel announced on Tuesday that the department would furlough most of its 800,000 civilian employees for 11 days over the course of the summer. The number of furlough days employees face has been reduced over the past several months from 22 to 14 and now to 11, as Hagel announced on Tuesday. While the Defense Department has roughly 800,000 civilian employees in the country, it wasn’t immediately clear how many of those are eligible for furlough. One group of Defense Department civilian employees that will not be eligible for furloughs is those who work at the country’s four public shipyards, including the 4,700 at the Portsmouth Naval Shipyard in Kittery, according to Paul O’Connor, president of the Metal Trades Union, which represents approximately 2,500 workers at the Kittery shipyard. The Portsmouth Naval Shipyard employees were included in the original furlough plan announced by the Defense Department earlier this year. There are roughly 6,800 workers in Maine who are civilian employees of the Department of Defense, as previously reported by the Bangor Daily News. With the workers at the Portsmouth Naval Shipyard being spared, that still leaves 2,000 Maine workers who could be forced to take 11 days of unpaid leave this summer. The 600 civilian employees who work at the Defense Department’s Defense Finance and Accounting Service office in Limestone will be furloughed, according to Steve Burghardt, a spokesman for DFAS. The Maine Army and Air National Guard also has 533 technicians who are civilian employees of the Defense Department, according to Peter Rogers, spokesman for the Maine Department of Defense, Veterans and Emergency Management. Rogers on Tuesday said they don’t know whether those employees would face the furlough. “At this point we’re waiting for information from the National Guard Bureau, which would give us guidance as for what that would mean for the [Maine] National Guard,” Rogers said. Rogers has previously said furloughing those 533 employees would be “devastating” for the Maine National Guard. While Bath Iron Works is a privately owned shipyard, there are 177 civilian Defense Department employees who work in what’s called the Supervisor of Shipbuilding office, which manages the design and construction of the destroyers built at the shipyard. Those employees will face furloughs this summer, according to Kristin Mason, a spokeswoman for the local Navy office. “We were not part of the exemption as far as we know,” Mason said Wednesday morning. The U.S. Army employs 621 civilian employees in Maine that will be furloughed, according to Troy Rolan, an Army spokesman. “All Army civilian employees are affected by the furloughs, unless they are necessary to maintain safety of life and protect property,” Rolan wrote in an email on Wednesday morning. 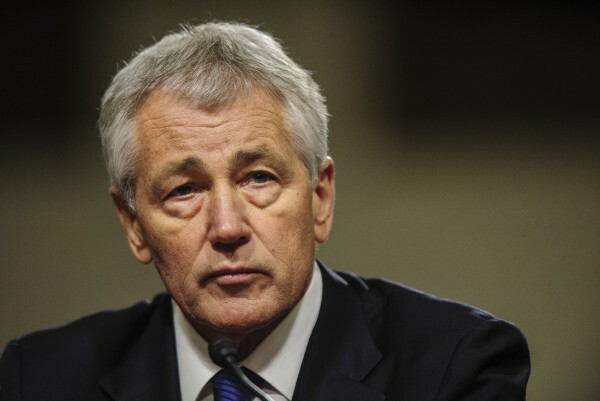 Furloughs are expected to begin July 8 at a rate of one furlough day a week for most personnel, Hagel said.